Emergency crews discovered adult victim inside Newton house early Friday. 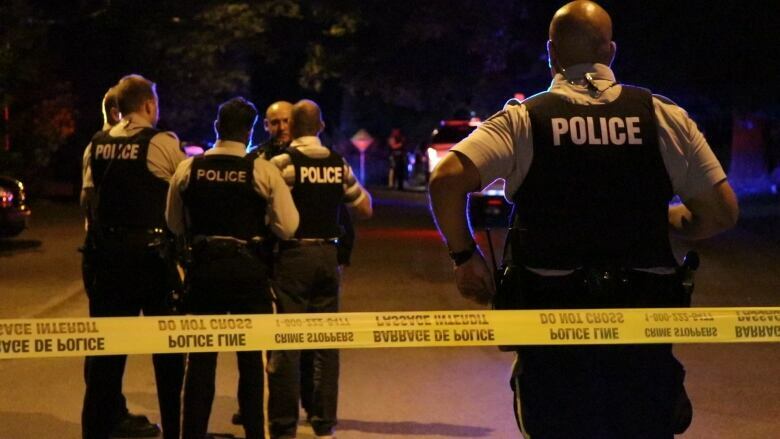 The body of an adult who appears to have been a victim of foul play was discovered early this morning in Surrey's Newton neighbourhood, according to RCMP. Police and ambulance personnel went to the home in the 7000 block of 144A Street at 1:30 a.m. PT on a medical call and found the victim inside. The area surrounding the home was cordoned off and the Integrated Homicide Investigations Team has been called in. Anyone with information can call the IHIT Information Line at 1-877-551-4448 or email ihitinfo@rcmp-grc.gc.ca. Anonymous tips can be left with Crime Stoppers by phone at 1-800-222-8477.